As I love all the shiny new things, I wanted to try the voxel.js project, an open source game building toolkit by @maxogden. 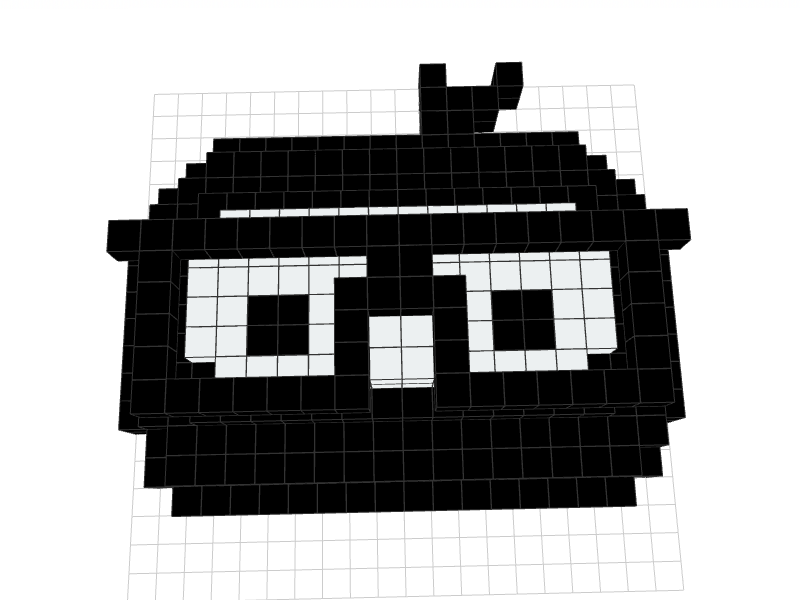 But, as I’m not a game designer, I settled to build our mascot Chuck using voxelbuilder, an online application where you use pixel blocs to build awesome pixel art. So here is what Chuck looks like! Another cool thing you can do is export the voxelbuilder models in STL file format (for Stereolithography, check the wikipedia article for more details) using a node.js library : ndarray-stl. You can see below how Chuck looks in a smoothed STL format. We’re now looking for a 3D printer to give a shot at printing him!